Joining the JFS team in 2015 after Comprehensive Investment Solutions (CIS) merged with JFS Wealth Advisors, Manish serves as Director of Investment Management. In his role, Manish is responsible for security research, due diligence, manager selection, portfolio construction and ongoing performance monitoring. 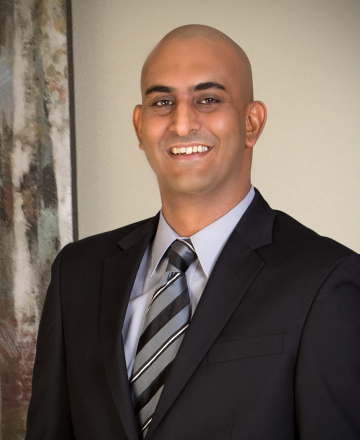 Manish has over 18 years of experience in the financial services industry, and prior to joining JFS, served as an Investment Analyst and Private Equity Fund Administrator at the Valley Forge Financial Group. Manish’s earned a Bachelor’s Degree in Economics from the University of Maryland, Baltimore County, in 2000. He also received the Certified Investment Management Analyst® designation by completing the CIMA® program at the University of Pennsylvania’s Wharton School of Finance. In 2015, Manish earned the CAIA Charter designation, the globally recognized credential for professionals managing, analyzing, distributing or regulating alternative investments. Away from the office, Manish is a dedicated golfer and enjoys spending time with his wife, Stacey, and their son, Sai. He and his family live in Phoenixville, Pennsylvania.